Nepal is one of the richest countries in the world in terms of bio-diversity with unique geographical position and latitudinal variation. The elevation of the country ranges from 70m above sea level to the highest point on earth, Mt Everest at 8,848m, within a distance of 150 km. Climate range from subtropical to arctic. This wild variation fosters an incredible variety of ecosystems, the greatest mountain range on earth, thick tropical jungles with a wealth of wildlife, thundering rivers, forested hills and frozen valleys. 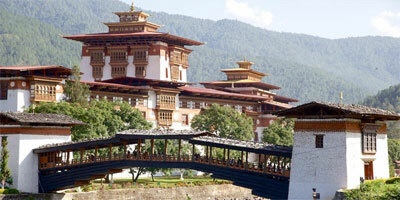 Nepal is also one of the richest cultural landscapes anywhere. The country is a potpourri of ethnic groups and sub-groups who speak over 70 languages and dialects. 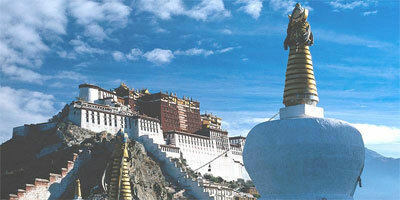 Nepal offers an amazing diversity of sightseeing attractions and adventure opportunities. And you can join in the numerous annual festivals that are celebrated throughout the year in traditional style highlighting enduring customs and beliefs. We are glad to extend our warm hospitality and hope your stay in Nepal is a memorable one. Nepal is most popular travel destination for those who are willing to make a Nepal trekking, hiking, peak climbing, expedition, historical monument sightseeing tours, Jungle safari, rafting, mountain flight, helicopter tours and so on. Nepal, a sovereign independent country, is bounded on the north by the Tibetan Autonomous Region of the People's Republic of China, and on the east, south and west by India. The length of the country is 880km east to west and its breadth varies from 145-241km north-south.The country can be divided into three main geographical regions. This region covers 65% of the total land area of the country. Kathmandu, the capital of Nepal is located here. Elevations range from 500 to 3,000m above sea level. During summer the temperature reaching - 1 degree Celsius sometimes. Areas in the eastern hills receive more rainfall because of the monsoon clouds, which come from the south-east. The rivers in the west that do not receive much rainfall are dependent upon the melted snows that flow down the Himalaya. Wild animals to be found here are the spotted leopard, barking deer, and Himalayan black bear. The hilly region is also popular for different kinds of birds. Over four hundred species of birds are found here. The people here work as trekking guides and porters and also sell garments and carpets to add to their income. The Terai covers 17% of the total land area of Nepal. It provides excellent farming land and the average elevation of flatlands is 100 to 300m above sea-level. Sub-tropical forest areas, marshes, and wildlife which include the Royal Bengal tiger,one-horned rhino, and the gharial crocodile are found here. Today, about 48% of the country's population occupies this region. Calcutta, a metropolitan city in India is the closest sea-port. It lies 1,000 kilometers away from Birgunj (border point). Note: Visa extension fee for less then 15 days is US$ 30 or equivalent Nepali Rupees but more then 15 days extension is US$ 2 per day. 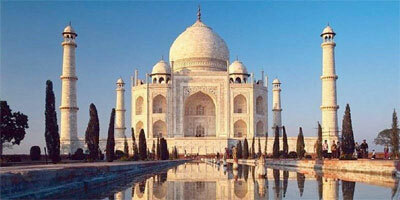 Tourist visa can be extended only for 150 days a year. 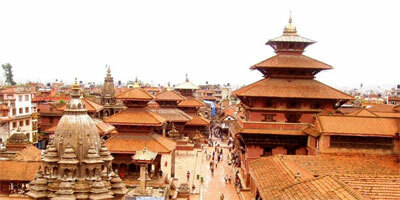 Nepal Transit visa can be issued from Nepal's immigration office at the entry point.